If you’re of a certain age, you know this place as Malcolm X Memorial Park, no matter what the City of Omaha said. Kountze Park, the jewel of the Kountze Place neighborhood, was built long after the neighborhood was established. The by-product of a potential boondoggle, its been called Malcolm X Park and given historical markers few white people stop to look at, even though every Omahan celebrates the old “White City.” Discover more in my history of North Omaha’s Kountze Park, briefly known as the Malcolm X Memorial Park. This is how the Kountze Park lagoon appeared in the 1910s. After sitting on it for a decade, Herman Kountze platted the Kountze Place neighborhood for development in the 1880s. Real estate agents snatched up the opportunity, moving the lots in this streetcar suburb for high-end homes that doctors, lawyers, businessmen and others would want for its prestigious address. Kountze had streets graded, installed gas lamps on several blocks and paid for sidewalks to be put down. In the mid-1890s though, a recession hit Omaha hard. Despite their Gilded Age dreams, the wealthy weren’t getting richer and their schemes weren’t taking off. This included Kountze’s jewel in North Omaha. A group of Omaha businessmen saw the successes of the 1893 Chicago World’s Columbian Exposition though, and by 1896 they envisioned a late Victorian wonderland in their fair city. In late 1897, Kountze must’ve felt pretty proud of himself. 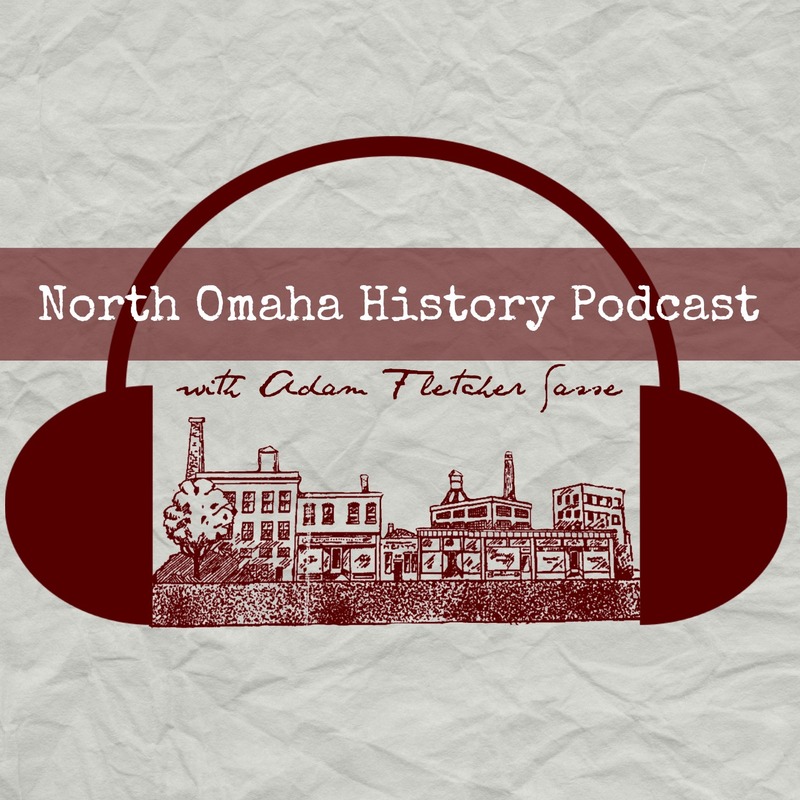 The City of Omaha was working with a committee to determine the ideal location for the 1898 Trans-Mississippi and International Exposition, and had narrowed their choices down to five places scattered around the city. In the last moment though, Kountze came through with a non-solicited late entry, and won the bid. The land Kountze put up was a flat piece of ground surrounded by a fence. That’s it. Nothing was growing on it except wild grass and weeds. However, he sold the committee on a vision, and they bought it. Koutnze proposed giving the Expo carte blanche on his open property north of Omaha, just outside city limits. In return for using his land, developing the streets, sidewalks and gas lamps of the neighborhood, and delighting all the tourists who’d come through and think living there was a great idea, afterwards Kountze would sell the city land for two city parks. There are 11 acres at Kountze Park, on either side of Florence Boulevard, which slices up middle of the park. This area was in the middle of the main area for the Trans-Mississippi Exposition, with a large bridge crossing the grand lagoon. The lagoon was as long as Kountze Park from North 19th to North 21st, and nearly as wide. There was a large bridge across the center of the lagoon to carry foot traffic along Florence Boulevard. The Arch of the States was on the south end of the present-day park crossing the boulevard; the north end of the area on the opposite side was host to the Administration Arch. In 1898, 2.6 million people from 32 states and 11 foreign countries visited Kountze Park and the surrounding area. The Trans-Mississippi Expo was referred to as Omaha’s “White City” because apparently, it was the first exposition in the world lit entirely by electricity. After the 1898 Expo came the Greater America Exposition of 1899, and late that year, scheming for the new Kountze Park began in earnest. This pavilion at Kountze Park was built in the early 1900s and demolished in 1953. Some of the houses in the background still stand. The Kountze Place neighborhood grew into an urban suburban dreamland. In the Its lovely lagoon was the site of much fishing, while its pavilion housed recreation specialists from the City of Omaha from the 1920s through the 1960s. History lauds the Amateur Athletic Association for signaling the rise of recreation and sports in Omaha’s public parks. Founded by cricketeers across the city in 1900, their original cricket field was in Kountze Park. Soon after the cricketeers began playing, the first pavilion at Kountze Park was built to accomodate a variety of uses. In 1954, a new pavilion was constructed at the park to replace the first one, shown above. It was demolished in 1981 and replaced with the current facility. Also called the Kountze Park Recereation Center, from the 1910s through the mid-1960s it was packed with activities open to the public. There were regular gatherings, dances, game tournaments, family nights, golfing lessons, Girl Scout and Boy Scout meetings, and more. In 1941, neighbors called the Kountze Park lagoon a “stinking mudhole” and insisted the City fix it. Using workers from Omaha’s CCC Camp, the City parks department installed stone along the edge of the lagoon, dredged it and installed a drain. However, apparently the City stopped filling it in 1945, only ensuring it had enough water in winter for ice skating. The lagoon was permanently filled in during September, 1953. Claiming it was just “a slimy hole,” the Omaha World-Herald relented the loss of the half-mile long reflection pool made for the Trans-Mississippi Expo. Filling the area with dirt and seeding it, the parks department continued filling it with water for ice skating into the early 1960s. Today, on the west side of the park, you can see the stone installed in 1941 around the lagoon. Tennis courts were originally built at the park in the 1920s; the basketball court was put in during the 1960s. The softball field was installed in the late 1940s, when the sport became very popular in Omaha. The city’s softball association met in Kountze Park for 15 years starting around then. The neighborhood around Kountze Park changed a lot after 1963. That was the year the US Supreme Court struck down redlining, and the US Congress passed the Fair Housing Act. That allowed African Americans to move into the Kountze Place neighborhood, which previously had race restrictive covenants in place to stop Blacks from moving in. White flight set in and as the neighborhood changed, usage of the park altered, too. On May 18, 1969, a tribute rally to the late Malcolm X was held at Kountze Park. Eddie Bolden, an activist with the Omaha Black Panther Party, was met at the rally by 320 attendees. Students were encouraged to skip school and workers encourage to leave their jobs to attend. The rally featured a young Ernie Chambers, who hammered against the ways African American students were treated by the Omaha School District. According to an era copy of the Omaha World-Herald, he also called against African Americans using drugs and said whites were feeding them drugs to keep the Black community poor and in jail. The youth activist group BANTU was also present, leafletting the gathering to demand change as well. The rally culminated in Bolden declaring the park was renamed as the Malcolm X Memorial Park. The next year, the rally happened again, and in 1971 there was talk of installing a shrine. Throughout the early 1970s, every year when the Omaha World-Herald reported on events relating to commemorating Malcolm X, they would mention the usage by “some blacks” calling the park Malcolm X Memorial Park. In 1974, when 10,000 people showed up to the park for the Malcolm X rally, the newspaper researched the legality of officially changing the name to Malcolm X Memorial Park. They first determined the city’s acceptance of the park designated it be forever called “Koutnze Park” (which it didn’t; the documents (now online) stipulate the land be forever used as a park, but don’t designate the name.) They also interviewed a Mallory Kountze, apparently an heir of Herman Kountze. In 1975, Denman Kountze, Jr., apparently a great-grandson of Herman Kountze, objected to the renaming of the park. Denman said he’d agree to change the name, but not to honor Malcolm X, whose philosophy he opposed. The park continued to be referred to as Malcolm X Memorial Park by the neighborhood, and the newspaper kept typing Kountze (Malcolm X) Park in their references. That practice ended entirely in 1996. That year, a march including a gang truce rally started at the Butler-Gast YMCA and ended at “Malcolm X Park, 20th and Pinkney Streets.” The Omaha World-Herald hasn’t referred to the park that way again since. In the meantime, the Malcolm X Foundation has opened a new Malcolm X Park at North 34th and Pinkney, keeping the vision alive. However, many people in North Omaha call it just that: Malcolm X Park. Located at 1920 Locust Street, the City of Omaha has continued to maintain Kountze Park. Luckily for North Omaha, there’s a stipulation in the 1897 agreement with Herman Kountze that ensures the land stays as a park forever. In the last 35 years, a lot has happened at the park. In 1980, while excavating for a new sewer in Kountze Park, a construction foreman uncovered several pieces of a building from the Exposition. An attempt to recover more artifacts was unsuccessful. In conjunction with the 100-year-anniversary of the Expo in 1998, the City installed new playground equipment and a historical markers. Today, there’s also a water park, playground, basketball and tennis courts, and a pavilion. One of the historical markers by the Nebraska State Historical Society is for the Trans-Mississippi and International Exposition of 1898. Its on Florence Boulevard at Pinkney Street. The other marker is for the Buffalo Bill at the Trans-Mississippi and International Exposition and Indian Congress of 1898. Marking the launch of Buffalo Bill’s Wild West Show, international stardom, and other events, it was placed by the Nebraska State Historical Society. Located in Kountze Park on the northeast corner of Florence Boulevard and Pinkney Street. In 1999, the City of Omaha along with neighborhood residents and civic leaders dedicated a new picnic pavilion in Kountze Park. Originally called the Commercial Federal Picnic Pavilion, it was built as a tribute to the Trans-Mississippi Expo and in a way that was supposed to be reminiscent of the buildings from a century earlier. A year earlier, $80,000 of improvements in the park brought new playground equipment, trees and flower beds there. According to the City of Omaha Parks and Recreation department, Kountze Park features a sprayground, playground, a ballfield, two basketball courts, four lit tennis courts and picnic shelters. The sprayground at Kountze Park was funded by the Peter Kiewit Foundation in 1999 as part of the park’s renovation. The sprayground has interactive palm trees, spray hoops and ground sprays. In 2015, the City paid for the parking lot to be rebuilt. Apparently, the city offers multiple programs throughout the school year and all summer long at the Kountze Park Community Center. Today, the Salvation Army North Corps, located at North 24th and Pratt, has recently adopted Kountze Park and has committed to keeping it clean. Kids are playing in radar dishes manufactured at a plant on North 16th and brought to Kountze Park for fun. Many of the houses in the background still stand at the intersection of North 19th and Evans Street, looking east. The Kountze Park lagoon in 1916. This is an icon of the Arch of the States designed by the Hanscom Park Studios. Note that the streetcar pictured would’ve been on 16th or 24th, not Florence Blvd by the actual arch.